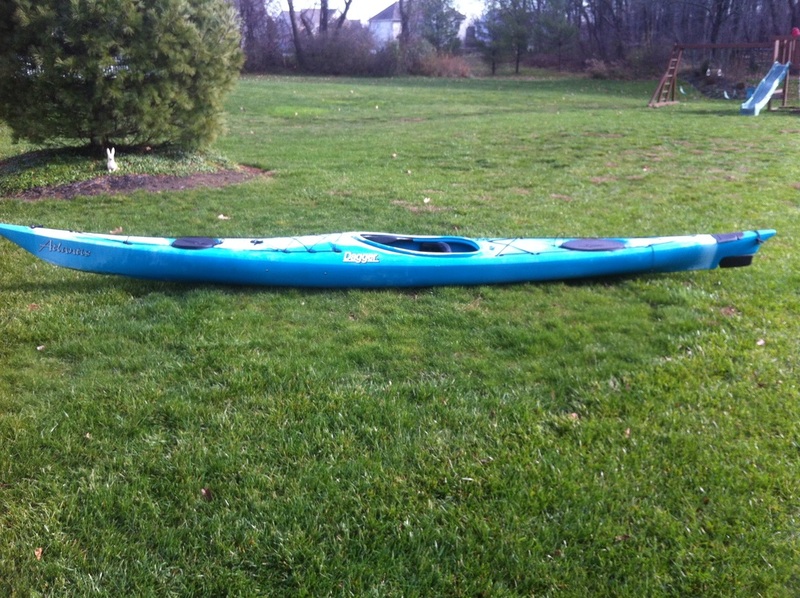 Dagger Atlantis Sea Kayak For Sale - AWESOME NEW AND USED KAYAKS AND BICYCLES! 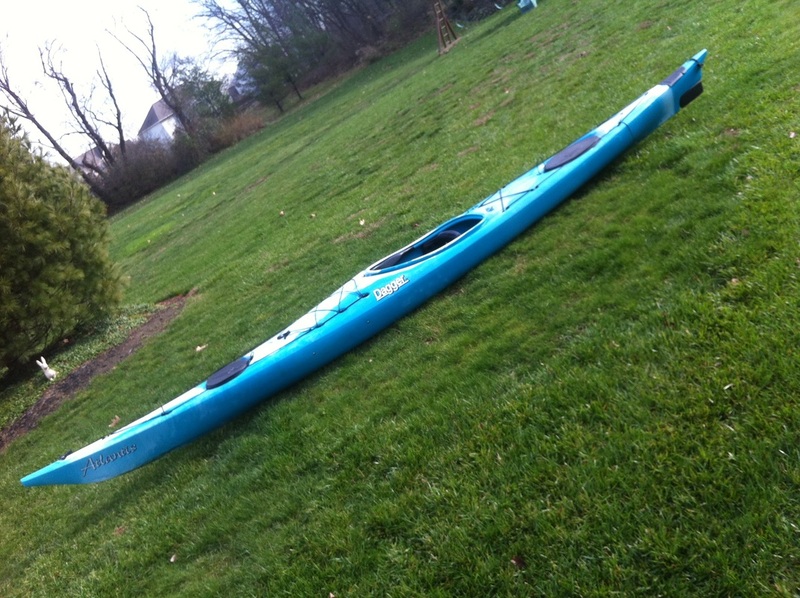 Here we have a Dagger Atlantis kayak with integrated rudder. This particular boat is in excellent condition with a few hull scratches, but no damage or major blems. The rudder works great. This boat is so darn cool because of the integrated rudder. The rudder is shaped like part of the hull so no need to drop it. Just release the mechanism and use the pedals to steer, or lock the mechanism and no rudder. This boat is ready for anything - why buy new? If it's cruising comfort on the open water you're after, the Atlantis is Dagger's newest polyethylene sea kayak. It's big and stable. It can carry a big load and big people. Designed for longer trips, the Atlantis cruises in comfort, even in rough seas. 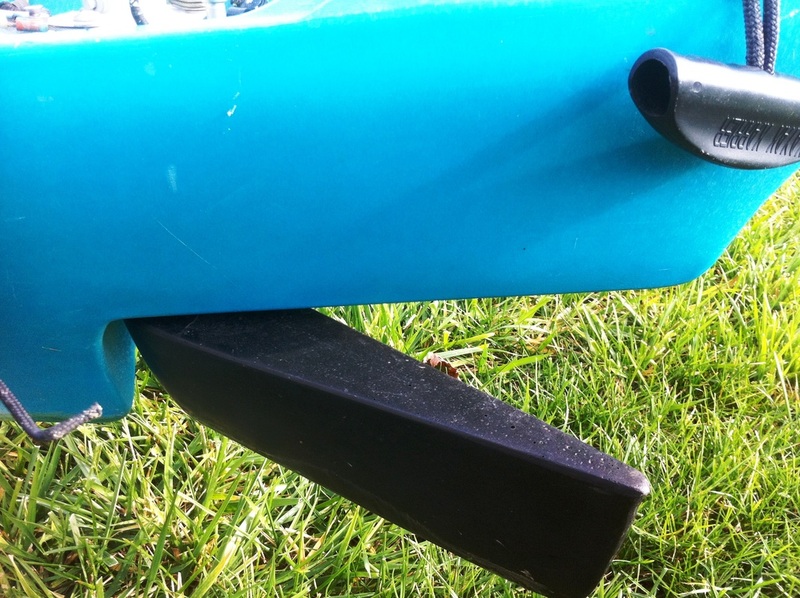 Dagger's unique integral rudder comes standard. The Atlantis measures 17'3" long, 23" wide, with an estimated weight of 66 lbs. Cockpit Size 34" X 19"
Integral Rudder System, Sure-seal hatch covers, welded plastic bulkheads, paddle float rescue rigging, adjustable backrest, rudder control pedal.